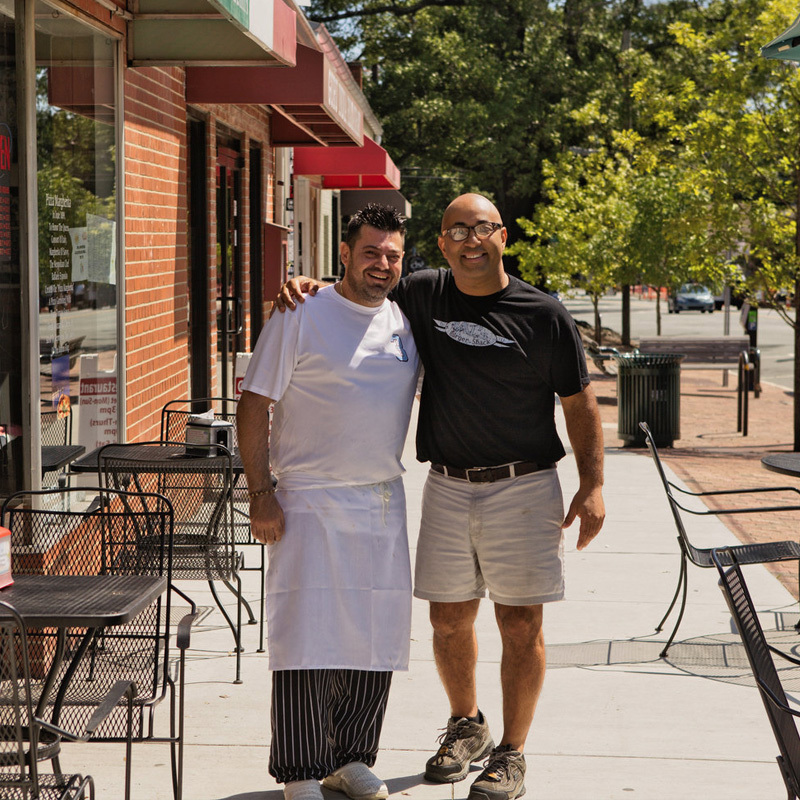 Exceptional burgers, dogs, and shakes from the best local ingredients. LIFE AT THE SHACK IS FUN. 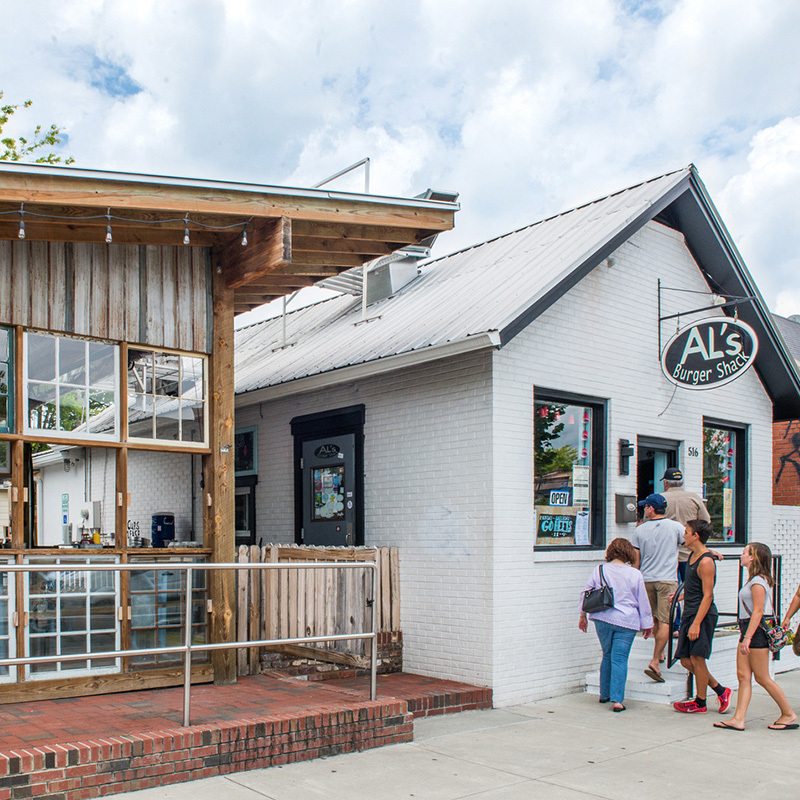 Our mission is to provide local, fresh, sustainable food and drink with a hefty dose of southern hospitality. 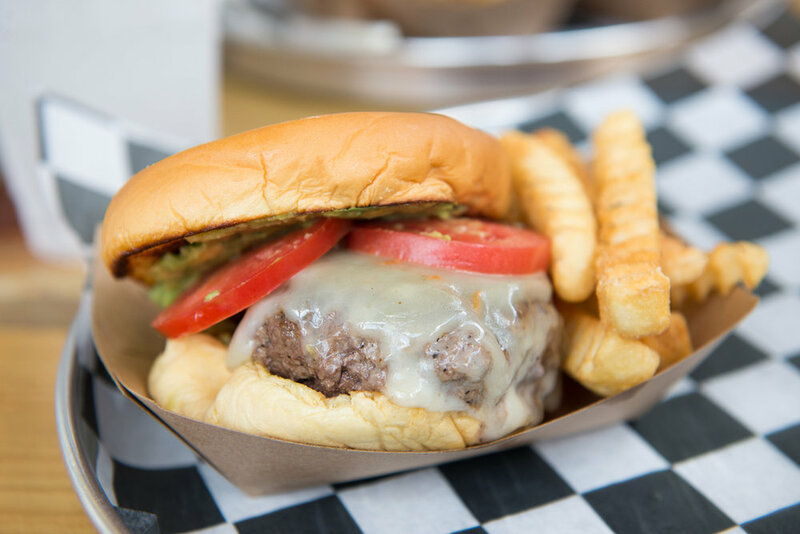 Our all-natural, hormone- and antibiotic-free beef is from North Carolina pasture-raised cattle. We serve craft beers brewed in North Carolina and produce from as many local farmers as possible. 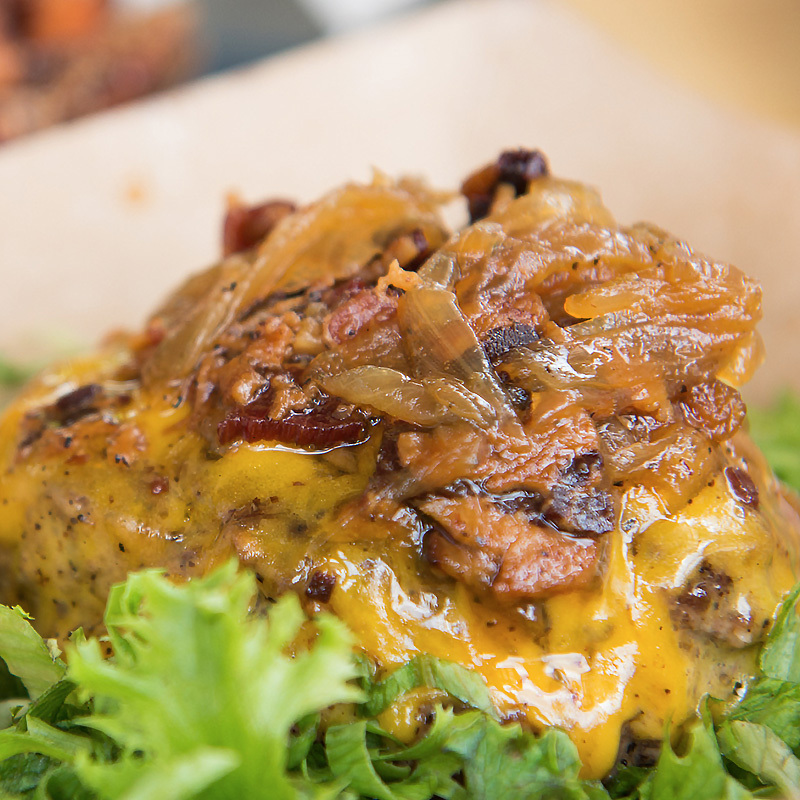 We make all of our specialty toppings and dressings in the Shack. Almost 100% of the interior was recycled from the existing space, our picnic tables and bar tops are made from reclaimed wood and some of the bricks for the patio steps are over 200 years old. THANK Y'ALL FOR BEING PART OF OUR LITTLE PLACE. 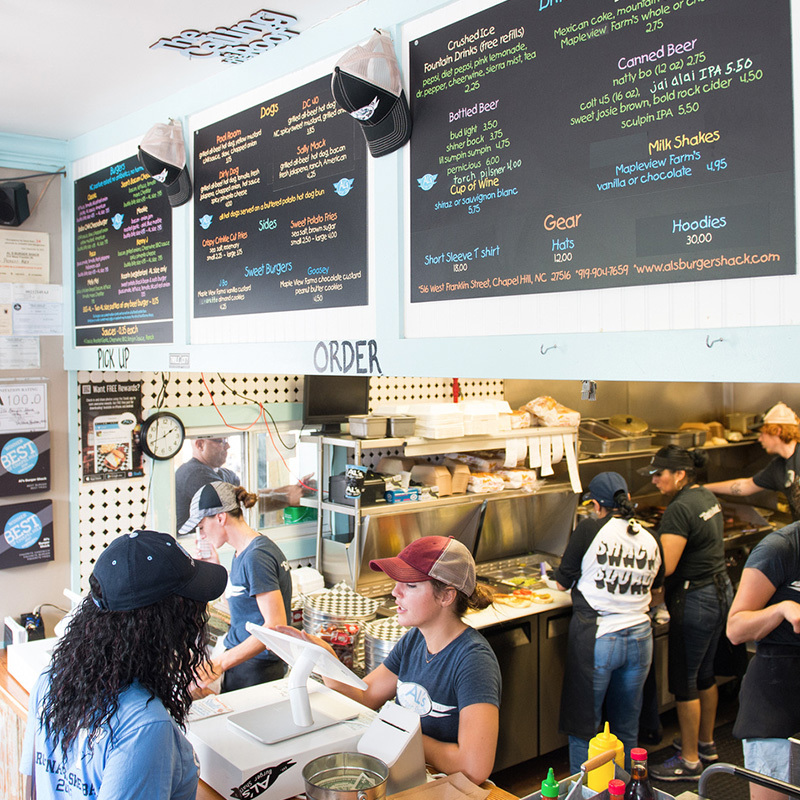 We thrive on feeding you delicious, made-to-order food and getting to know you and your families. We're proud to be a part of this community. And we feel the love right back.